Much of our nation’s raw materials and goods are transported via railroad. Hundreds of thousands of individuals are employed by railway companies. Railroad workers perform their job duties around large equipment and machinery which makes the potential for accidents and serious injury a very real concern. Railroad workers include track laborers, diesel mechanics, electricians, mechanical systems designers, maintenance of way workers such as bridge inspector, track inspector, signal maintainer, platelayer, etc. In the event of a serious injury, railway workers may suffer from brain damage, traumatic brain injury, spinal cord injury, or other physical ailments that severely impact their day-to-day activities. Call 415.835.6777 today to schedule a free consultation with a lawyer at Bracamontes & Vlasak, P.C. While most employees who are injured on-the-job in California can obtain workers’ compensation benefits, railroad employees cannot. Railway employees who suffer on-the-job injuries, must seek compensation under the Federal Employers Liability Act (“FELA”). There are certain instances however, where a contractor is deemed a “special employee” of a railroad. When a worker is considered a “special employee” of a railroad, that worker may bring a civil lawsuit against the railroad company even if the “special employee” has already recovered workers’ compensation benefits from his/her actual employer. In other words, even if you have already collected workers’ compensation benefits, if you were injured in the course of your duties at a rail yard or as a railroad employee, you may be able to recover additional monetary damages. In fact, you do not necessarily need to be a railway employee to recover under FELA. Truck drivers that are injured in a railroad company’s rail yard may be able to bring civil actions under FELA in addition to recovering workers’ compensation benefits. Am I Considered A ‘Special Employee’ Of A Railroad Company? There are 3 ways one can be considered a “special employee” of a railroad company: 1) the employee is considered a “borrowed” employee from another company; 2) the employee could be acting under the direction of two different employers or two supervisors from different companies; or 3) the employee’s entire company was serving under the direction of the railroad company. For example, any independent contractor that performs operational activities for a railroad company is considered an agent or employee of the railroad. When an employer furnishes workers to the railroad company and places those workers under the direction of the railroad company, then those workers are deemed employees of the railway company. An important factor in determining employer/employee relationships is discovering who has the power to direct and control the employees in the performance of their work. The power to merely suggest how the work is to be performed and coordinating performance is distinguished from the power to direct and control the work. In Collins v. Union Pacific, a contractor, whose company was hired to help clean up a train derailment, was severely injured when a block fell from a crane and hit him in the head. The worker suffered multiple fractures in the head and face, cognitive impairment (brain damage or traumatic brain injury), and lost wages. The court of appeal upheld the jury’s decision that the contractor could recover both workers’ compensation benefits from his primary employer and sue the railroad company for recovery under FELA. This case was decided in July 2012. Collins v. Union Pacific, 207 Cal. App. 4th 867 (2012). The Safety Appliance Act (“SAA”) is essentially a substantive amendment to the FELA. 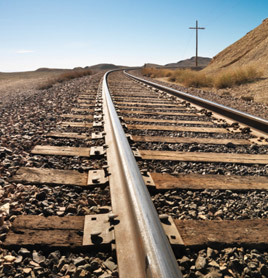 The SAA requires railroad companies to provide and maintain safety appliances on trains. When a violation of the SAA results in an injury to an employee, the employer is strictly liable for the injury. Put differently, if an employee can show that the SAA has been violated, the employee does not need to prove that the railroad company was negligent or knew about the violation. The employer will be responsible for the injury regardless. Almost everyone is familiar with the concept of strict liability, whether they know it or not. Speeding in your car is a strict liability crime. It does not matter if you were unaware you were speeding and did not intend to break the speed limit. It does not matter if your speedometer was malfunctioning. All that matters is whether your vehicle was going over the speed limit. The SAA operates in the same manner as the speed limit. If an employee is injured as a result of an SAA violation, then the railroad company is responsible for the injury no matter what. It does not matter that the company did not know of the violation beforehand and therefore had no opportunity to correct it. It does not matter that the company was simply following an industry standard that every other company performs. All that matters is whether the SAA was violated and an employee was injured. The SAA does not have an exhaustive list of safety appliances, however it references devices such as grab irons, handholds, and automatic couplers. The SAA represents the minimum standard of safety equipment and does not prohibit the installation of additional safety equipment. Similarly, where new safety devices and safety equipment are installed on a locomotive, they are subject to the SAA. The Supreme Court in Shields v. Atlantic Coast Line R. Co., addressed this issue in1956. An independent contractor suffered serious injuries after falling off a dome tanker that had defective dome running boards. While standing on the running boards, the boards broke and the contractor fell. The defendant argued that because the Interstate Commerce Commission did not promulgate uniform standards for all running boards, then the defective running boards did not fall under SAA. The Supreme Court disagreed and held that the Commission did not create an exhaustive list of safety appliances and that the FELA and SAA were to be interpreted liberally. The BIA, like the SAA, is a strict liability law. Put simply, the BIA requires that locomotives be in proper condition and not have any condition on them that would cause unnecessary danger. This includes design defects. In Fontaine v. National R.R. Passenger Corp. (Amtrak), the conductor fell from the locomotive while climbing up the ladder. The design of the ladder, which as pitched at a negative angle away from the locomotive, was found to constitute a violation of the BIA. The conductor shattered her arm in 60 places, had five surgeries, had her arm surgically shortened, and was permanently prevented from enjoying the hobbies she once did prior to the accident. Fontaine v. National R.R. Passenger Corp. (Amtrak), 54 Cal. App. 4th 1519 (1997). Whether or not a railway company is responsible for the injuries suffered is something that needs to be determined on a case-by-case basis. If you wish to know more about your options to recovery against a wrongdoer, you need to contact an experienced plaintiffs’ attorney as soon as possible. At Bracamontes & Vlasak, P.C., our railroad attorneys understand that you may not be able to come to the office and we will gladly come out to meet you personally to discuss your case. Our initial consultations are free and you are under no obligation to retain us as your railway attorneys. The vast majority of our cases are taken on a contingency fee basis, meaning we do not get paid unless you recover. For a free consultation concerning your railroad case, please contact Michael Bracamontes or Ryan Vlasak at 415.835.6777, or contact BV Law here.